Sarah is one of the most upbeat, energetic, and truly excited individuals that could ever be employed as a spokesperson for GIS. 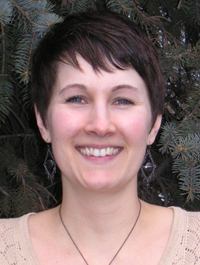 Over the last ten years, she has been involved in a plethora of activities involving education, leadership, and the MN GIS/LIS Consortium. For example, in 2004 Sarah was encouraged to revive the Southeastern Minnesota GIS/LIS Users Group. With her guidance, the group has continuously met and expanded to include local, state and federal agencies, non-profit groups and private entities. She has also given community college lectures, regularly organizes displays for National Geography week and coaches students with resumes. Her involvement and leadership with the GIS/LIS Consortium Board has been extensive. Finally, through her efforts Goodhue County has received the Governor’s Commendation Award (2009) and the Special Achievement in GIS Award (2010). Her enthusiasm and professional work ethic are exemplary and the reason for many of the GIS success stories in Southeastern Minnesota. 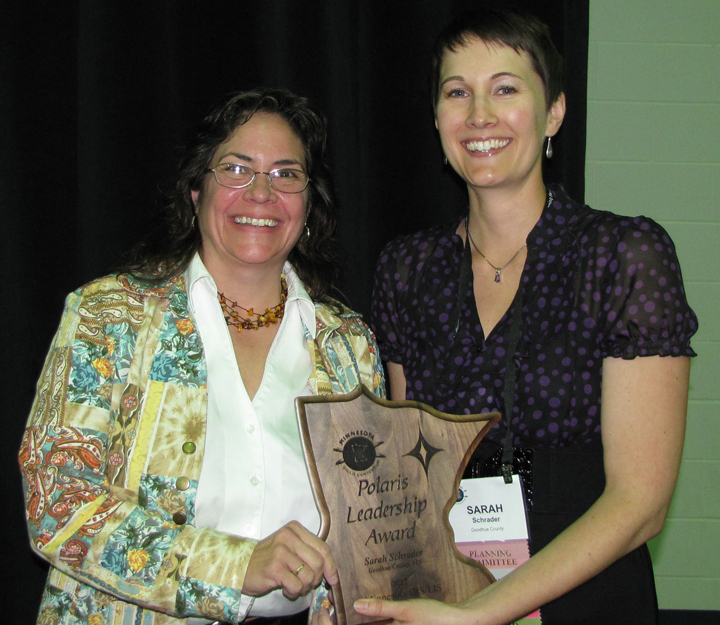 2012 Polaris Award recipient Sarah Schrader with 2011 Polaris Award winner Lisa Hanni.